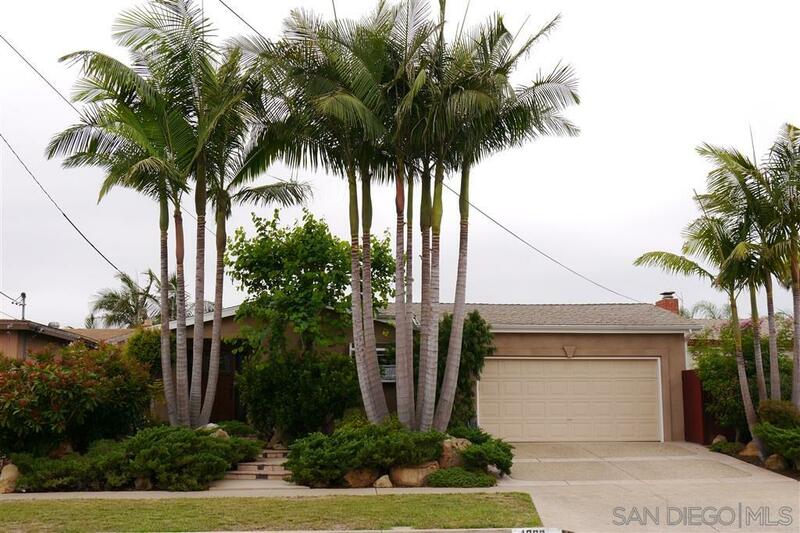 Immaculate Clairemont home is one of the finest you will see. Owners have spent over $150K on this extraordinary turn key home with tons of charm, character and true craftsmanship. Incredible curb appeal greets you as you walk up to the gorgeous front entry way. Stunning large remodeled kitchen with Omega cabinets, granite counter tops & high end Dacor & Bosch appliances. Huge 19'x14' master bedroom is incredible with a 2 sided fireplace, plus a 16'x10' master bathroom with separate Jacuzzi tub & shower., This one of a kind extraordinary home will absolutely amaze you, no question. Entire house has been rewired and has a 200 amp electrical panel. Home has been re-plumbed with copper water lines, & all new ABS sewer lines, plus main sewer line has been replaced. Total kitchen remodel was completed in 2017. Gorgeous guest bathroom was totally remodeled in 2016. Beautiful refinished original hardwood floors bring warmth to the living room and 2 bedrooms. Rich looking engineered Hickory hardwood floors in the master bedroom, hallway, dining room and kitchen. The bedrooms have high end Milguard wood clad casement windows that add a touch of craftmanship. Master bedroom and family room have Andersen wood clad sliding glass doors. Beautiful interior wood doors are solid core. Skylights in the home bring in lots of natural sunlight. LED lights through out the home help make it energy efficient. Insulation through out the home including the interior walls, sub-floor and attic helps keep this home comfortable year round. Newer Lennox HVAC system with insulated ducting and PureAir air purification system. Brand new color coat stucco and painted exterior wood trim in August 2018. Incredible landscaped front & rear yards were professionally designed and installed, including hardscape, irrigation and plants. Cost was approx. $35K and it shows! Custom stamped concrete front driveway. A true must see home that belongs in a magazine! !